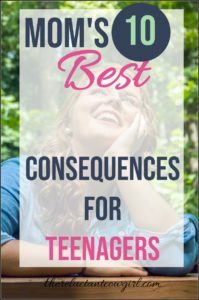 Consequences for tweens and teens are pivotal to raising responsible adults. And in order to have a HAPPY home, it is vital that your teens know you have consequences AND are willing to use them. 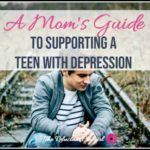 Often parents feel overwhelmed, as teenagers push back on the boundaries during the teens years, believing that nothing works so there is no hope in trying. Well there is HOPE for raising disciplined teens, and there are an effective list of consequences for teenagers that truly work. Note: This post contains affiliate links. If you purchase through a link The Reluctant Cowgirl will receive a small commission, at no additional cost to you, used toward keeping this blog going. I only recommend products I appreciate and trust. Read all my disclosure here. 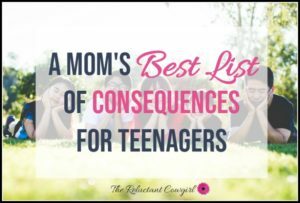 So before you read this amazing list of consequences for teenagers let’s lay down a few ground rules… or understandings. Teens are Not Moldable Clay – Unfortunately, your teen is no longer as moldable as a toddler. So instead of throwing your hands up and saying that a consequence isn’t working because your teen doesn’t change after using the consequence twice, think more long-term. It took years of training to bring your teen to behaving this way. It may take months to untrain and retrain the behavior you want. Be Consistent – Moms, one of our biggest tools is consistency. Mean what you say. So if you need to lower your consequence down to 4 hours without their phone in order to stick with it, do it! It doesn’t matter if Diana Discipline across the street can hold to her consequence for 40 days. It is more important you start to SET A PATTERN of meaning what you say. We want our kids to trust our word! Study Your Teen’s Personality – A key to setting healthy and effective consequences is knowing your teen. What affects them? How are they motivated? What do they love? Some teens are easily swayed by a smile and encouraging word. Others want facts. Still others are extremely strong-willed and may not display much outward change for months (read years). 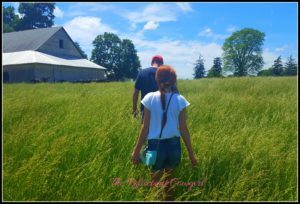 Raising a strong-willed teen? Here is THE book you MUST buy for yourself. If I could have had just ONE book handed to me when my kids were younger this is it! OK, now let’s get down to our list of effective discipline tactics. 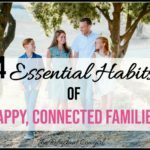 Choose a few to work with in your household. Often the consequence is staring us right in the face. We don’t need to create a consequence because there already is a consequence. We just have to step back and let it play out. Say that your teen forgot their sport equipment, and they call asking you to bring it to them. If this was the first time or they have had an absolutely crazy week, we may decide to jump in to help. But if this is a weekly occurrence, then don’t fix it for them. The reason they keep forgetting their equipment is because they know we will fix it. It suddenly becomes more urgent to remember when they know that it really is up to them. While it is hard as a mom to not step in to help, knowing that they will get in trouble during practice, do you think they are more likely to remember next time if you rescue them or if the coach yells at them? If they break their phone, and they have a habit of not caring for their things, then don’t rush to buy a new phone. And certainly don’t buy one as nice. Natural consequences are your friend! Put them to good use. Physical labor works awesome with boys. Our boys are both grown so I know that is works well for a variety of personalities. Work has a couple of benefits. It wears a teenager out so they have less energy to start a fuss. Physical tasks also gives the satisfaction of a job well done. And when teens feel better about themselves they are bound to be happier and more pleasant to be around! 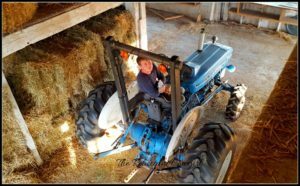 Assigning physical work is a good way to have your teens help on a day-to-day basis. But if needed as a consequence, a parent can give extra work or have them complete a job that was going to be split among 2 or more, on their own! 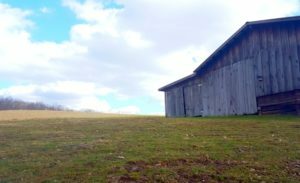 We have always had property so it is fairly easy to find jobs to do such as taking care of the yard, caring firewood or watering or hoeing the garden. When my son was young I discovered the power of money! I was working with him on not getting so mad. I got a roll of pennies from the bank and dumped it into a jar. I told him he could have the whole jar at the end of the week. But every time he began acting out his anger, I would deduct a few pennies. And it worked! Many kids hold money as near and dear. So you can attach money to consequences in a variety of ways. You can pay for chores on commission. If the chores aren’t done, then they receive less allowance. Here is a great post showing how one mom uses chores (free printable pay stub:)! If you want to employ this consequence be prepared. While taking away electronic devices is very effective, a couple of issues may arise. One, you may realize that your teenager was spending too much time on the devices to begin with and you need to reevaluate. And two, it will probably make your job a bit more challenging. If your kids are on their devices a lot, chances are that they are staying out of your way. And if your end goal is just to keep your teens busy then taking away electronic devices may be a shock to your teen AND you! However, if you are IN this parenting thing to win and raise great kids, then you are tough enough to take away devices and deal with a little whining. And in the process take a look to see if too much screen time is making for a more cranky teenager! Also realize technology is on your side! When is comes to WiFi you can limit the WiFi, when it comes on, and when it goes off! Best decision I ever made was buying a Netgear WiFi router with smart parental controls. I can tell the WiFi when to come on and when to go off. It also puts limits on all electronic devices that enter your house. So if you have certain sites or types of sites restricted, the Netgear router will also restrict that material on your teen’s friend’s devices too when they are in YOUR HOUSE! Love it! They also have a new version of Netgear Wifi router that comes with Circle from Disney. For only $5 a month, you have even more power to control what is coming into your house! All from your phone! Won and Done!! Some kids love to go round and round with you verbally. From all appearance they just want to prove that they are right. But you know what else it is? A key to a VERY EFFECTIVE consequence. Teens that love to argue absolutely hate when there is no one with which to argue. So if your teen is being super disrespectful, simply walk away. State that you no longer are going to tolerate them talking to you that way. You will be happy to resume the conversation when they are able to control their speech. Don’t fall into the trap of being pulled into a conversation where you have to PROVE that you are right. You need to be clear on your expectation. But once you have done that ONCE (maybe twice), then realize that you are just giving your teen a reward for misbehaving by continuing to be pulled into the conversation. 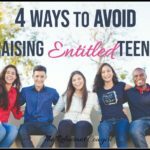 Stop rewarding your teen arguing with you. End the conversation! You may be shocked at how effective this can be. Ever think that maybe your teen doesn’t care about anything? I hear this often and have absolutely been there myself where it feels like no consequence is working. So we need to get creative! Start looking around at all the things you do for your teenager. You may be driving them around, giving them money for weekend activities or for fast food. Perhaps you are scheduling appointments, tidying up after them, doing laundry or filling out paperwork for them. We have been doing little things for our kids for years that often we forget all we do. If your teenager continues to disregard the rules in the house and be disrespectful then you need to cut off those concierge services. Why buy your teen that specific cereal they love or hand over money for snacks at the football game if they are not following the house rules? Perhaps you rearrange your schedule so you can drive your kid to school or pick them up so they don’t have to ride the bus. This is a special service or privilege you provide, that you don’t necessarily have to do. If you follow the house rules then you reap the benefits of living in that household. Don’t want to follow the basic rules then you don’t receive ALL the AMAZING BENEFITS! So be kind but clear to your teenager that if they would like special privileges that comes from living in your household, then they have to follow the basic rules! One major opportunity that I see parents totally miss out on is taking advantage of other’s consequences for their kids. Specifically, I witness this in the classes I teach to families struggling with truancy. The majority of the teens charged with truancy are doing things that are causing them to constantly be late or miss school. Sometimes they are staying up til 2 am watching movies, or they won’t get up in the morning. Other times, they act like they are getting up, only to go back to sleep as soon as their parents leave for work. Unfortunately, some parents will try to get their kids out of having to come to truancy classes, or will come to only one class. Other times, parents will come to a class and keep the focus on what the school is doing wrong instead of the choices their teen’s made. Now, I get it. Life is not fair. It can really stick in your crawl when it feels like your student is being singled out for something other students are doing too. But honestly, if our student is “caught” doing something wrong, we should use the opportunity to show our teens that there are consequences to their decisions. The message you want your teen to hear is being reinforced…so USE THE MESSAGE! Teenagers have a lot of energy. They have dreams and they desperately want to appear to have life all figured out. So make sure that your teen has plenty of opportunities to be significant and to try new things. Bored, unengaged teenagers will find something to do that is “interesting” or makes them feel important. This can be dangerous if they are simply left to their own devices. As parents, we can set the stage and engage our teenagers in ways that are productive and will test their skills in positive ways. We may wish to guide them to trying out for a sport, volunteering in the community, pushing themselves in their academics or applying for a part-time job. We should teach them all the skills we know, have interesting people over for dinner and have lively discussion about what we all are learning at school and work. Read here for 6 Simple Ways to Help Your Teen Discover Their Interests. I loved when my kids were old enough to discuss things. Others of you may just be wishing you can trade your teens in for little kids that just need a snack! Hehee! But really it can actually be so interesting when you can talk about a situation with your teenager. So if you all are continuing to bump heads in one area, try sitting down and calmly discussing the area of disagreement. Decide together what the plan is and request that your teen stick with your agreement. In order to run a household that is fair and effective we also need to make sure that we are rewarding good behavior! If you notice that your teenager is attempting to do better at a chore or even (gasp!) helped without you asking be sure to point it out. Catch your teenager doing something right! Depending on your teenager, you may wish to tell everyone at dinner what a good job they did. Or perhaps you can grant them a freedom they have been requesting. However, you wish to reward just make sure that you are making positive behaviors in your household pay off BIG! Make sure your home has plenty of laughter and humor. 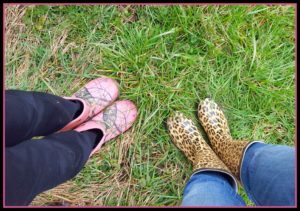 Read here on Why You Need to Be Laughing with Your Teen! What is working well in your household? Have you found an amazing consequence? Share below! 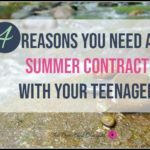 Still struggling with one of your teenagers over a certain matter? Ask or share your concern! The Reluctant Cowgirl is here to support you in your mom journey. I want you to be able to parent from a point of strength and with lots of great ideas to make your life easier! So join us here to receive my weekly insights and gain access to all the printables and worksheets! Hey friend! 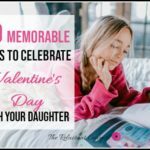 This is a wonderful list i wish I had years ago when my oldest was starting the teen years. I love that you included so many because every kid is different. We both certainly know that, don’t we? I totally agree with you that consistency is the key and we have to be careful to only give consequences we’re able and willing to follow through with. Loveeee ! What a great list!